Biometric systems have begun to increasingly play a key role in the identification of individuals and can be leveraged to identify known or supposed terrorists in order to fight crime or counter any terrorist attacks. With the objective to stop first time or repeat offenders in their tracks, Integral Consulting facilitates federal and commercial clients with its Multimodal Biometrics offering. The highly skilled and technically adept team of professionals at Integral Consulting continually strive to meet and exceed client expectations by evaluating the objective and infusing innovative biometric technologies. The company primarily caters to the military, intelligence agencies, and law enforcement organizations. Devoid of the cookie-cutter approach, Integral Consulting delivers highly customizable solutions that focus on quality and timely delivery at an economical cost unlike other vendors that just offer off-the-shelf products. In essence, Integral Consulting’s Biometric Solutions are designed to assist in identifying an insurgent or a terrorist, investigating a crime, authenticating a passport, verifying a visa and validating a driver’s license. There are several types of biometric solutions such as face recognition, fingerprint recognition, iris recognition, and heartbeat recognition to name a few. The team at Integral have developed a unique biometric recognition algorithm that has all such biometric identification processes embedded into its offering. “So depending upon the application, we utilise multiple biometrics. 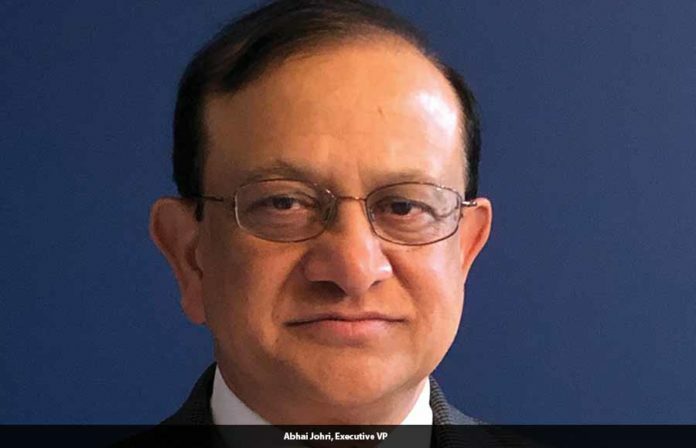 We have an algorithm that works towards corroborating this information and checks the accuracy of the results and identity of the person,” explains Abhai Johri, a veteran in the IT industry and Executive Vice President, Integral Consulting. Ensuring user centricity while continuously improving and optimizing the solution, their solutionhas been engineered with fusing multimodal biometric modes for comparison and combination of signatures obtained from a subject’s fingerprints, irises, palms, face, DNA thereby enabling enrolment of credentials, verification of IDs, spoof-proofing identities, and checking visitors against watchlists. The company has attained an industry-rich experience having worked with several well-known intelligence, defence and law enforcement agencies and have been recognised for their work. One of the company’s notable contributions to society was when they built a biometrics solution for the DC department of correction. The case involved a video footage of bad quality from which the FBI was investigating and were trying to locate the person. Integral Consulting stepped in and converted the poor quality image which was a side pose into a good quality frontal pose. This image procured was run through all the digital mugshots at the DC Department of Correction and were able to identify the person who was booked in that jail a year before that. They were able to obtain the complete data of the person. This automated process saved on time and resources that would have ideally been invested if carried out by manual processes. Similarly, on the application development side, the team is working towards developing applications related to the law enforcement intelligence area. One of the unique solutions built is currently running at the DHS/TSA Watchdesk known as Tactical Information Sharing System. The system was designed with the purpose of collecting the suspicious incident reports from the airports and border crossing and performing visual analytics to determine patterns and trends of coordinated suspicious activities. Thousands of users from law enforcement and intelligence agencies are using this application to keep a close watch over specified activities, regions and people. The law enforcement can act on and intervene when required. Yet another success story, the company was working alongside DHS Immigration and Customs Enforcement (ICE) intelligence analysis group towards identifying each individual belonging to a mafia gang hailing from Eastern Europe and Russia operating in Brooklyn and worked with FBI and NYPD to catch the perpetrators that were trying to flee the country. Headquartered in Maryland, Integral Systems was established by Renu Johri and her husband Abhai Johri with a vision to foray into the IT solutions application development domain. The company’s specialities lie in Biometrics, Intelligence Analysis, CyberSecurity, IT Service Management, Open-Source Intelligence, and carving a niche for themselves in this market space and perfectly poised to meet every client’s unique requirements, Integral Consulting has been awarded several contracts like the ACC-APG RS3 Contract, Defense Information Systems Agency ENCORE III, Army INSCOM Global Intelligence Support Services (GISS-R), State Department Next Generation Passport Personalization, Army INSCOM SETA support services to its G6 Ground Intelligence Support Activity (GISA), and Air Force Research Laboratory Engineering Services Contract. Mapping out their future, Integral Consulting has built an Open Source Intelligence (OSINT) Lab as part of their Center of Excellence and is researching in terms of future identity intelligence using not just the biometrics but also signal intelligence, geographic intelligence and all-source intelligence analysis. Also, believing open source to be the future for a lot of identification challenges, the company has assigned a research team to venture into this segment and innovate as well. Staying abreast of trending technologies, the company aims to continue to meet its mission of solving critical problems using innovative technology, agile methodologies and delivering highest-quality solutions.